Hungry Hill is the title of a novel by Daphne du Maurier based on the story of the family of her friend, Christopher Puxley, whose family acquired Dunboy Castle and its lands after the defeat of Donal Cam O'Sullivan Beare. The copper mines located on the hill in the novel are in reality further west near Allihies. The second element of the Irish name, Cnoc Daod, has long been regarded as obscure, but it is probably simply a dialectal variant of déad meaning ‘tooth’, ‘jaw’ or ‘set of teeth’. A family living at the foot of the hill are known locally as the Bun Daods. Hungry Hill is the highest mountain in the Caha Mountains area and the 135th highest in Ireland. 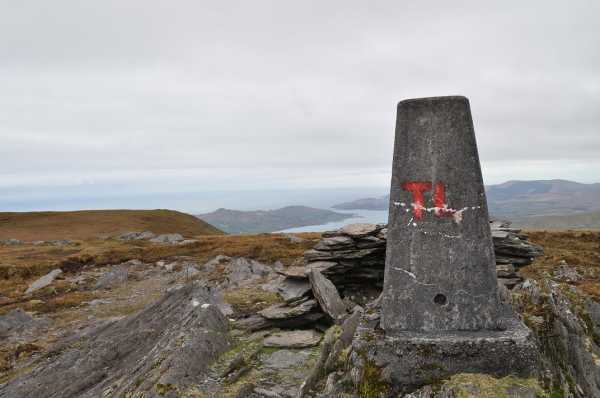 Hungry Hill is the second most southerly summit in the Caha Mountains area. Hungry Hill is the third highest point in county Cork.